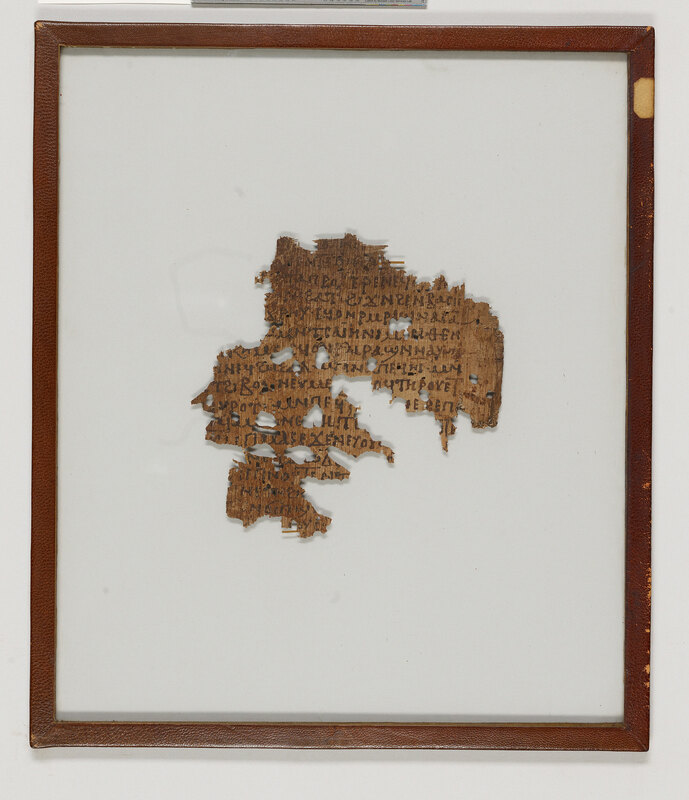 Home > Amherst Coptic Papyrus 16. 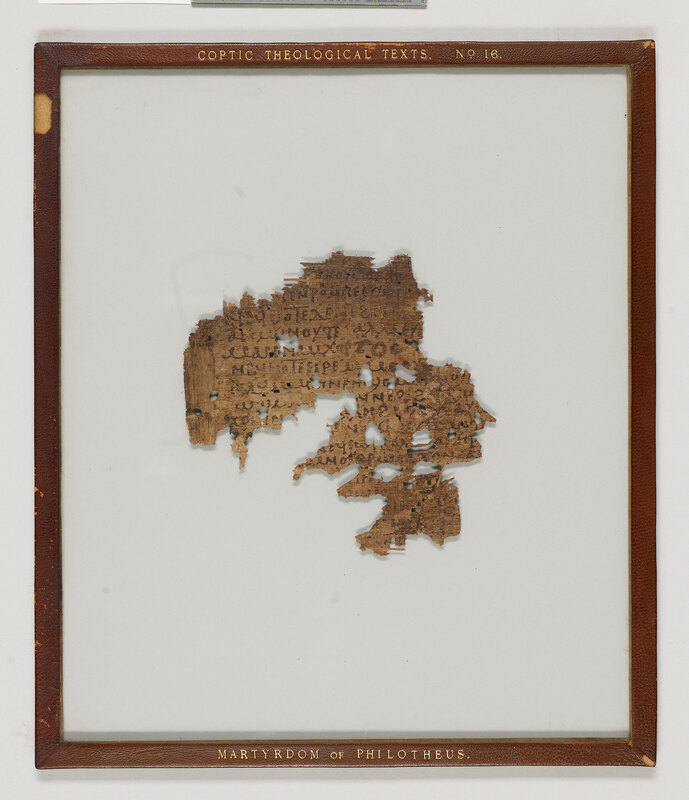 Manuscript leaf fragment from the martyrdom of St. Philotheus of Antioch; written in Egypt. Text edited and translated into English by Crum.